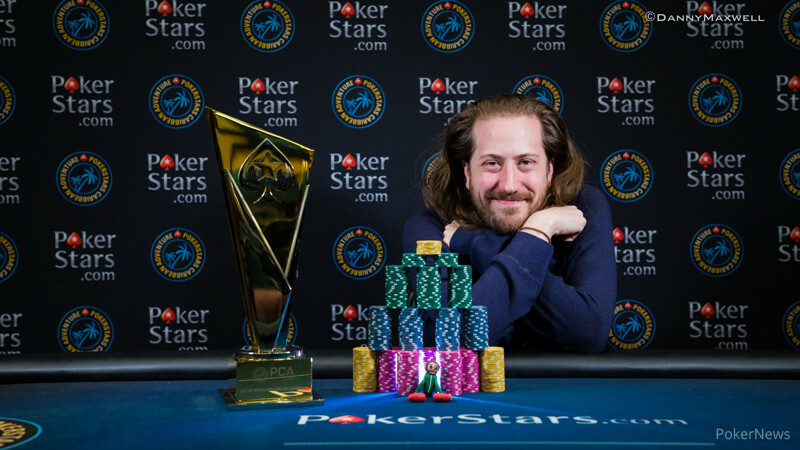 On Saturday, the 2016 PokerStars Caribbean Adventure $50,000 Single-Day High Roller kicked off, but it wasn't until the early morning hours of Sunday that Steve O'Dwyer emerged victorious over the 80-entry field (58 Unique + 22 reentries) to capture a $945,495 first-place prize. It marked O'Dwyer's fifth notable EPT win which includes wins in the EPT9 Grand Final Main Event, PCA 2015 (EPT11) $100k Super High Roller, EPT12 Malta €10k One-Day High Roller, and the EPT12 Prague €50k Super High Roller, which took place exactly one month ago. 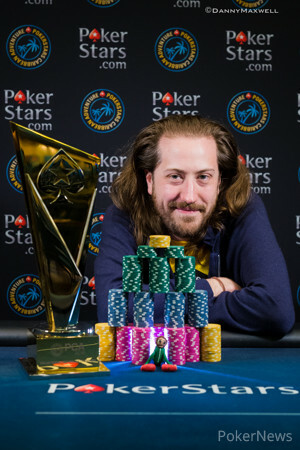 The fast-paced tournament, which boasted 30-minute levels, saw some of the game's best turnout for a shot at the $3,860,000 prize pool, but dozens came up empty handed including EPT11 Grand Final champ Adrian Mateos; 2015 World Series of Poker Main Event champ Joe McKeehen, who was fresh off his runner-up finish in the $100,000 Super High Roller the night before; Team PokerStars Pros Jason Mercier and Liv Boeree; GPI Player of the Year Byron Kaverman; EPT12 Prague High Roller champ Kenny "kenny05" Smaron; and Paul Volpe, who busted as the bubble boy when he got his short stack all in preflop holding the and failed to hold against the of Drinan after the board ran out . From there, Timothy Adams ran pocket sevens into the nines of Ivan Luca, who by that time had amassed a pile of chips. Adams exited in 11th place, but soon had company on the rail as Luca dispatched Scott Seiver in 10th, while Isaac Haxton took care of Nick Petrangelo, the result of the latter running nines into queens. Luca then bounced Paul Newey and $100,000 Super High Roller champ Bryn Kenney in eighth and seventh place respectively before O'Dwyer won a huge three-way all in that resulted in the elimination of Daniel Dvoress in sixth. Things kept going Luca's way as he dispatched Poker Hall of Famer Erik Seidel in fifth place, but then things slowed down during four-handed play. During that time Haxton took the lead, then lost it after Drinan spiked a lucky river. Haxton's bad luck continued until Drinan finished him off in Level 21. Not long after, Luca was crippled after O'Dwyer found a lucky flop, who turned right around and eliminated the Argentinean in third place. That left O'Dwyer and Drinan as the final two players, and they opted to work a deal. 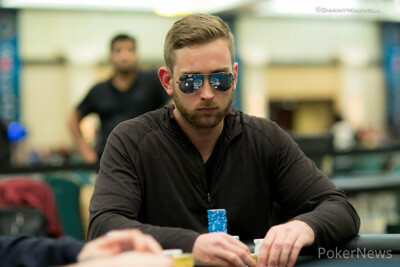 O'Dwyer, who held a slight chip lead, locked up $914,811, while Drinan took $870,625. That left $30,684 and the trophy to play for. In what would be the last hand of the tournament, which took place nearly a half hour later, O'Dwyer moved all in from the button and Drinan, who had roughly 2.8 million, thought for about 45 seconds before calling off. Drinan was behind but drawing to two live cards. The flop paired O'Dwyer, but it mattered little as Drinan found himself in the same situation — he needed to pair one of his cards. Unfortunately for him, the peeled off on the turn to give O'Dwyer two pair and leave Drinan drawing dead. The meaningless was put out on the river for good measure and Drinan congratulated O'Dwyer on yet another high roller win. On Sunday, Day 2 of the PCA Main Event will kick off at Noon local time. The PokerNews Live Reporting Team will bring you updates from that event everyday until it's completion, and we'll also be covering the $25,000 High Roller that runs January 12-14. Be sure to keep it tuned to PokerNews, and in the meantime check out this video featuring Jason Somerville participating in "Never Have I Ever." In what would be the last hand of the tournament, Steve O'Dwyer moved all in from the button and Connor Drinan, who had roughly 2.8 million, thought for about 45 seconds before calling off. Connor Drinan just moved all in from the button for 1,580,000 and Steve O'Dwyer called from the big blind. The board ran out and the deuce on the turn gave O'Dwyer a set, but it also gave Drinan a flush. Steve O'Dwyer raised to 300,000 from the button, Connor Drinan called, and the flop came down . Drinan check-called a bet of 300,000 and then both players checked the turn. When the completed the board on the river, Drinan led out for 500,000 and O'Dwyer responded with a raise to 1.65 million. Drinan hit the tank for more than three minutes before releasing his hand. The final two players are now playing for the trophy and $30,684 after a deal has been struck. Steve O'Dwyer is guaranteed $914,811 while Connor Drinan will take home at least $870,625. Connor Drinan raised from the button to 250,000 and Ivan Luca moved all in for 400,000 from the small blind. Steve O'Dwyer called from the big blind and Drinan called as well. The board ran out on which the action was checked down before O'Dwyer bet 200,000 on the river. Drinan folded right away and O'Dwyer showed for the nut flush. 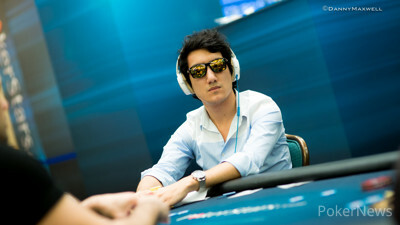 Luca tabled and he was knocked out in third place. Steve O'Dwyer moved all in from the button for 1.84 million and after Connor Drinan folded, Ivan Luca asked for a count. The man from Argentina hit the tank for over a minute and then spiked in a call. It was a good call by Luca, who had O'Dwyer dominated. Unfortunately for him, his lead was short lived as the flop came down to give O'Dwyer a pair of sixes. Much to the dismay of Luca's rail, the blanked on the turn followed by the on the river to give O'Dwyer the double. Big Slick Does the Trick for "kenny05"